Biking to The Merry Dairy for Delicious Ice Cream! The Merry Dairy is a wonderful ice cream parlour at the corner of Gladstone and Fairmont Avenue, a perfect destination on a warm Summer’s day! 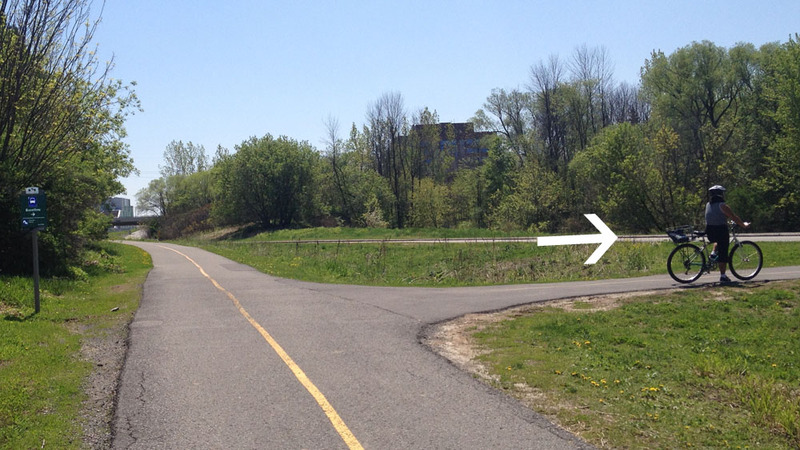 Here’s a bike loop from the Trillium Pathway and back. (The Trillium Pathway is also popularly known as the O-Train Pathway. Some wayfinding signage uses this name as well). We begin at the bottom of the path that comes down from Somerset Street and joins the Trillium Pathway. Head south along the pathway. Starting off for ice cream! Mmmm…. After crossing Gladstone, the path continues under the Queensway. Just beyond the Queensway there is an exit to the right that crosses over the O-Train tracks along a pedestrian bridge to Young Street. Continue up Young Street all the way to Fairmont Avenue. 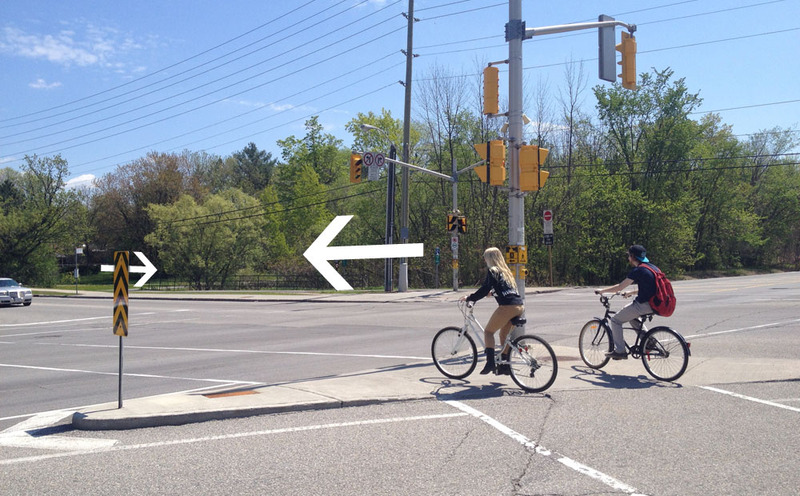 Turn right on Fairmont Avenue and ride back under the Queensway. Nota bene: The Merry Dairy also has an ice cream truck that attends various events around town. On the evening of July 21st it will be in Fairmont Park where A Company of Fools will be presenting Twelfth Night! To get there, turn left once you reach Fairmont Avenue and ride south for a couple of blocks. I’ve indicated this option in purple on the above map. Twelfth Night in Fairmount Park on July 21st! A block north of the Queensway you’ll find the ice cream parlour on the south west corner of Fairmont and Gladstone. AND they love cyclists! For example, when it came time to purchase a bike rack they surveyed the Ottawa biking community via Twitter who overwhelmingly preferred this model. The service is great and the ice cream is delicious! To get back to the Trillium Path, continue north along Fairmont across Gladstone to the lane opposite Duhamel Street. Turn right onto this lane which takes you to quiet Irving Avenue. Turn left on Irving, them right on Laurel, and follow Laurel all the way to Breezehill Ave N. Turn left onto Breezehill. These are all pretty quiet residential streets. You’ll pass Devonshire Elementary School at the corner of Laurel and Breezehill. Heading north along Breezehill takes you to Somerset. Turn right onto the bike lane over the Somerset bridge. On the opposite side of the bridge there is a right hand exit onto the path that leads dowm to the Trillium Path to where our adventure began. If anyone needs directions to the Trillium Path please let me know and I will post a route. Author ottawaveloPosted on July 18, 2018 July 21, 2018 Categories UncategorizedLeave a comment on Biking to The Merry Dairy for Delicious Ice Cream!